What You Bleedin’ Looking At?? We visited Loughshinny beach a couple of weeks ago, that’s in North County Dublin for all you who are unfamiliar. It’s a five minute drive from our house, and we’ve managed to get there twice in total this, er, ‘summer’. Eva was still getting over the chicken pox so we weren’t staying too long – it was more an effort to get us out of the house than anything. It has occurred to me though, that most parents understand that when the spots are out, it means that the contagious part is generally over. (I know this is gross, but essentially, when they’ve crusted over, you’re in the clear). And so I wondered if perhaps the paranoia is our own? Maybe those parents are looking at us with sympathy, because they’ve been in our shoes, because they know what we’ve been through. Maybe they’ve moved away to go and write down the name of some excellent cream that will help with the scarring from those bastarding spots, and we just didn’t hang around long enough to get it. Right? YEAH RIGHT. 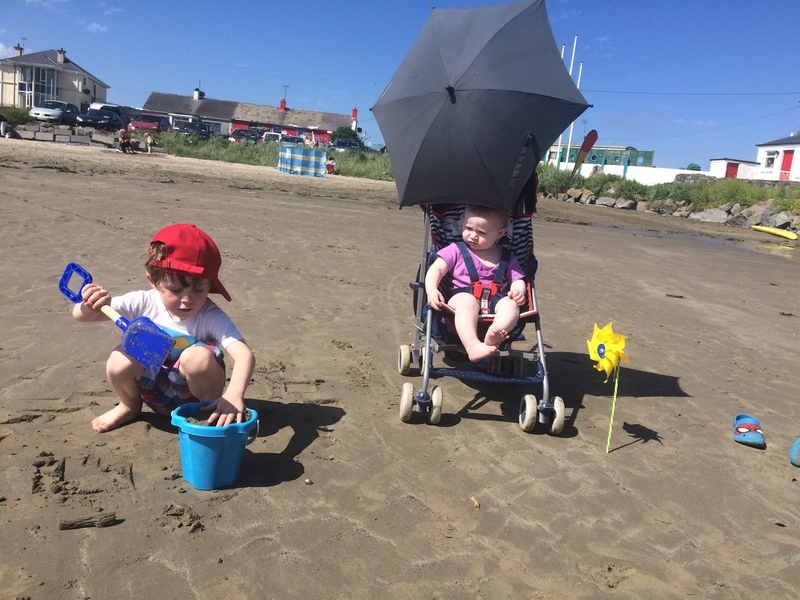 But there was a woman at the beach that day, the day I brought my heavily spotty post-pox child, and my mildly spotty post-pox child. And that women had a son with her who was severely disabled. And she was blowing bubbles into the air for him and he was delighted and made all of these very loud, very happy noises. And I looked, and I smiled, and I walked away. And I want that woman to know: I wasn’t staring to be a judgmental other mother: I was staring because I thought that you were the best mother I had seen that day. You rock. This entry was posted in Health & Wellbeing, Parenting and tagged Chicken Pox, Disability, Love, Mother Judgement, Paranoia, sharyn hayden on August 11, 2015 by Sharyn Hayden.